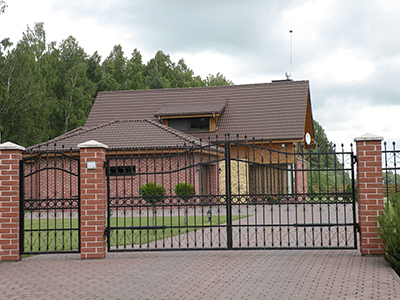 Our Driveway Gate Company in Lakewood offers a wide range of services for our customers. A few of the services that we offer arerepair gates, this includes pedestrian gates, driveway gates and walk throws gates. We also provide welding services. Our driveway gate company will also provide services to install and repair all type of gate openers / motors. We can remove and replace them too. 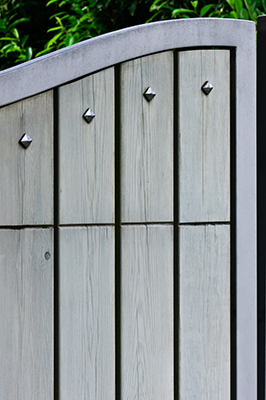 We can repair broken hinges, posts and damaged gates. Of course these are only very few things that we can do for you. Ourdriveway gate company in Lakewood is open for you 24/7 for all of your emergencies related to gates and fences. Call us today and see what our gate/fence contractors can do for you. Our expert team will come to the rescue every time there is a problem with panels, tracks or opener and provide complete gate repair right on the spot. How do we achieve the highest possible level of precision and speed? We have dexterous technicians who use advanced equipment and spare parts of the highest quality. Count on us to provide fast emergency assistance whenever the need arises as well as scheduled repair. The perfect organization and the skills of our highly qualified technicians enable our company to complete gate installation projects of all types and sizes quickly and to deliver top results every time. Our maintenance service is designed to keep systems of all ages in top condition and to ensure safe and effective operation and security. One of the most interesting and fascinating services that our driveway gate company provides to our customers is custom made gates. Yes, we can customize a gate for you. We make these gates and many other items from wrought iron. We are the second generation iron workers. We can customize these pieces as per your choice and liking. Here are some kinds of gates that we can customize for you: overhead gates, swing gates, sliding gates, wrought iron gates, and iron gates, custom made pedestrian gates, walk through gates, driveway gates, parking garage gates, electric gates, automatic driveway gates and barrier arm gates and many more. We can custom these gates for residential homes, gated communities, gated hotels or other commercial businesses. A customized gate can allow you to choose what you want the gate to look like. You can decide if you want it to be a swinging gate or a sliding gate. You can decide if you want it to be a Flat Top Single Swing, an Arched Top Single Swing, a Scalloped Top Single Swing or some other design. We offer a wide range of choices for custom made gates to allow you to decide the exact type of gate you would like to have. You can also decide on the width and the height of your fence when picking out a custom made fence. Also you can decide on how far apart you want the pickets to be. The tops of the pickets are another thing you will have to decide on. There are many different top style elements that you can choose from. Next there are things like plates and handles to choose from. It may be a little overwhelming, and seem like a lot to choose from, but the finished product will be well worth your time and trouble. We can make this custom made gate for you. Just call us at our driveway gate company in Lakewood or come visit us and we will help you design the perfect fence. We also provide many other services like Pipe corals, retaining walls, fences, railings, doors/gates, window guards, security doors, dog runs, cages etc. Our driveway gate company can do more then just custom made gates. We do all kinds of installations and repairs on gates and fences. We even sell every part that you will need for your fence and gate. We also can install your fences and gates and any other part that you need installed. We are dependable, trustworthy and offer the best prices around. So, to get your very own custom made gates, visit us at 5700 100th St SW #231 Lakewood, WA 98499 or give us a call.